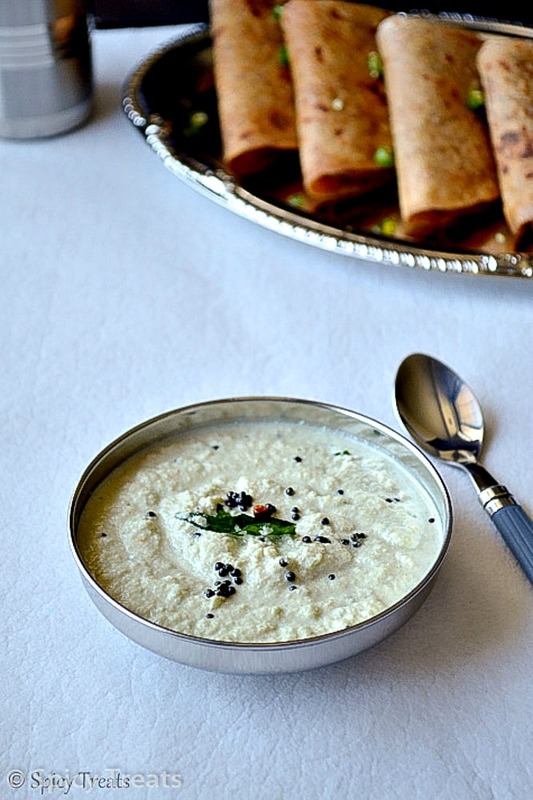 Coconut Chutney is one of the basic chutney/side dish for any south Indian breakfast/ dinner recipes. This chutney is very easy to make and doesn't involve cooking, tempering is also not necessary most of the time i make this chutney without tempering only. Tempering the chutney only for flavor if u don't like u can skip it. Grind everything from coconut to coraiander leaves with little water in a blender. Now the chutney is ready to serve . Goes well with idly, dosa, Ven pongal, Medhu vada, Lemon Rice also. 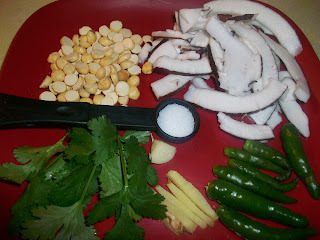 If u want u can also add 2 tsp of roasted peanuts and grind along with the other ingredients. Adjust the amount of green chili to your desired spice level. Adding coriander leaves is optional if u don't want u can skip it. Instead of green chili u can also use dry red chili. I and my husband are crazy about south indian food,but i am not as good in cooking these food since we are from Hyderabad! as you probably know how rich Hyderabad cuisine is,and thats what i have grown up watching my mom n grand mom cooking! so i always take help from either friends or popular websites for making my south indian food. Just a week ago i came across this website,this is amazing!your recipies are awesome and yet very simple to understand and cook! thank you so much! i”v already tried spinach poha and tomato poha n loved it!..i was always in search for that famous coconut chutney that came with idly/dosa,i have tried it from other websites but never liked the result,i saw that recipe here also,i am going to try it next,and hope it will come out exactly as i eat at south indian restaurants...i have one quation,what is Dalia means? its in the above recipe ingredient. Thank you Shenaz for all those kind words n for your feedback...glad that u tried n liked my poha recipes! People like u my strength n encouragement, do try this coconut chutney, sure u will love it! Yes it's in the pic, next to coconut...hope this helps..if u try this chutney don't forget to share ur feedback ! Thank U!! I love south indian food and I am so happy to have found this site. I found out you are from Tamilnadu and I believe these are Tamil recipes. Now I do not have to spend hours surfing trying to figure out which south indian recipe is from which region as I am north indian. Thank you so much for all your efforts to share this lovely cuisine. Shalu. If u try any of my recipes plz feel free to share ur feedback. Thanks! Reg idli dosa batter - i haven't tried using flour/powder...but will give u the recipe soon. yep, we need to experiment ;) will try using ready powders n let u know the result soon with proper proportions.